Givon Gallery is showing for 3 days an event by the artists Gabriel Klasmer and Shira Klasmer. This third collaborative work of photographer Shira Klasmer and artist Gabriel Klasmer in the form of two new video based installation will be shown for 3 days only at the Givon gallery as a special event co inside with their other project ProlongGone 2011, currently showing at the Israel Museum in Jerusalem part of 720 degree curtain installation by Ron Arad. 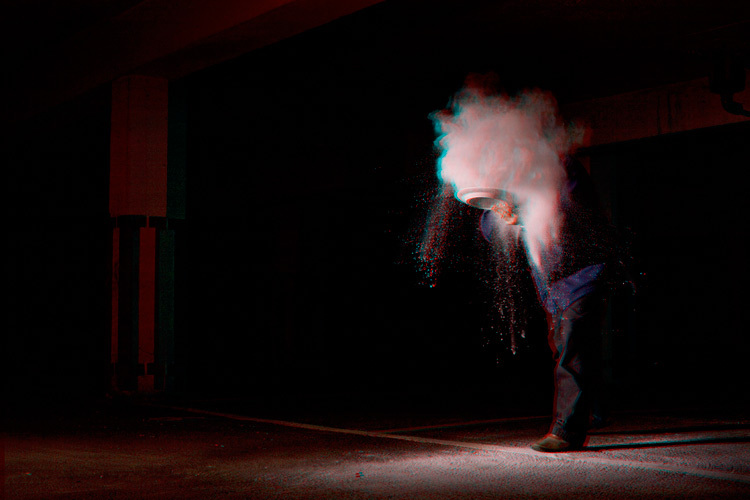 In the first video work a sequence of linear images, is revealing small differences and interferences – indicating towards the tensions between mind and body – the very human tremble in the act of mark making. The video contains long exposure still images; traces of the artist walking with a stick of LED. 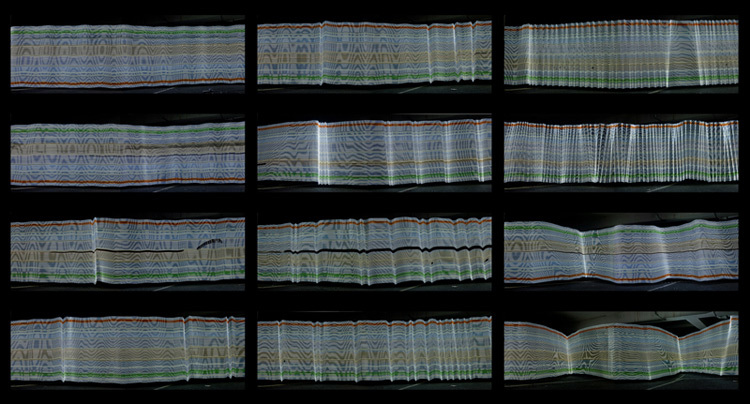 Turning the still image to a time based work, is done by scrolling over the photographic frames, repeatedly, in this way – reconstructing the pace, direction, and movement of the act which originated the image. [linking still photography ( stillness) to time based video ( movement )]. The second video work is in 3D, related to the nature of sculpture. During several weekends the darken parking space adjoined the London studio of G and S was turned to the playing ground for experiments and investigation to the edges of sculpture; its fragility, materiality and its sense of volume. Stereoscopic photography was fast learned and implemented by Shira to become the key for the success of this collaboration, and the link between sculpture being a ‘phenomena in space’ and the stereoscopic photography. Out of the darkness objects appear, caught by the flash of light, not as images but as realities, as presences, of what only exists, in the imaginary field of vision, between the left and the right eye.